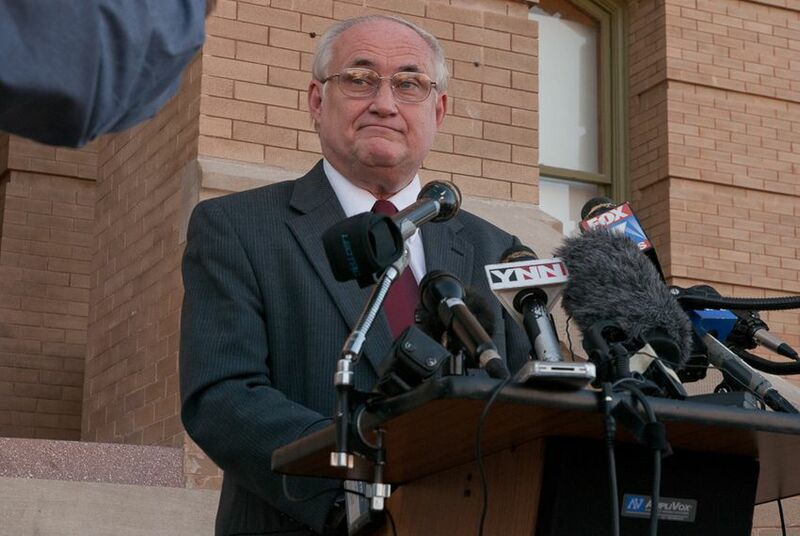 Allegations that former Williamson County prosecutor Ken Anderson committed criminal misconduct in the wrongful prosecution of Michael Morton 25 years ago are "unjustified and insupportable," his lawyers argued in a court document filed today. "It is unfortunate that the Innocence Project has attempted to leverage the good work done by it and others on Mr. Morton's behalf — to secure his exoneration — into unjustified and insupportable allegations of criminal conduct by Ken Anderson," wrote Anderson's lawyers, including Eric Nichols, a former deputy attorney general. Michael Morton was exonerated last year after DNA evidence showed he did not beat his wife Christine Morton to death in 1986. His lawyers argue, though, that there was ample evidence pointing to Morton's innocence when he was tried 25 years ago and that Anderson violated state and federal laws and professional codes of ethics by deliberately withholding that information from the trial judge and from defense lawyers. And they have requested a court of inquiry to determine whether sanctions against Anderson are warranted. Anderson's lawyers went to great lengths in the filing today to underscore the importance of the exoneration, the former prosecutors' regret over the conviction and the 25 years Morton remained wrongfully imprisoned. But they argue that Anderson, who is now a state district judge appointed by Gov. Rick Perry, is not criminally liable for his role in the case. "With greatest respect for Mr. Morton's counsel and what they have accomplished on behalf of their client... the requested court of inquiry has no foundation," they wrote. Following Morton's exoneration, his laywers — John Raley of the Houston law firm Raley & Bowick and the New York-based Innocence Project — conducted an investigation into the prosecution, including extended depositions with Anderson, his assistant prosecutor and former Sgt. Don Wood, who was the lead investigator of Christine Morton's muder. Raley and the Innocence Project asked the court, in a 140-page report submitted last month, to find that there is probable cause to believe that Anderson should be charged with contempt of court and tampering with official documents. They argue that Anderson concealed police reports that Judge William S. Lott ordered him to disclose during the 1987 trial so that he could determine whether they might help Morton’s case. Lott found nothing exculpatory in the few pages he was provided by Anderson and ordered the record sealed. When a different judge ordered the record unsealed in August, Morton’s lawyers discovered that Anderson had provided very few of the available police reports. Crucial pieces of evidence were missing, including a transcript of a telephone conversation between a sheriff’s deputy and Morton’s mother-in-law in which she reported that her 3-year-old grandson had seen a “monster” — who was not his father — attack and kill his mother. Police reports from Morton’s neighbors were also missing. They told police they saw a man in a green van park near their home and walk into the woods behind their house. Gone from the file, too, were reports that Christine Morton’s credit card had been used and a check with her forged signature cashed after her death. Harle asked Anderson to provide a response to Morton's lawyers, and in it they argue that there is insufficient evidence to prove that the prosecutor committed a crime. While Morton's lawyers maintain that Lott ordered the prosecutor to reveal the entire investigative file, Anderson's lawyers say that the judge requested only a small fraction of the police reports and that those were turned over. "The 'Complete Wood Report' is nothing more than an artifice, a construct to support a requested result," Anderson's lawyers wrote. "At no time, either by written order or oral instruction from the bench, did Judge Lott require submission of all materials generated by Sgt. Wood during the course of the Christine Morton murder investigation." Anderson's lawyers also argue that Morton's lawyers are interpreting state law incorrectly and that even if there were valid claims of wrongdoing, a court of inquiry would be useless because the state of limitation on the alleged violations has expired. They contend the statute of limitations expired, at the latest, three years after Morton's trial. "It is a plain statutory law in Texas that time-barred claims may not be prosecuted," they wrote. Judge Harle has not said when he will issue a ruling on the request for a court of inquiry.